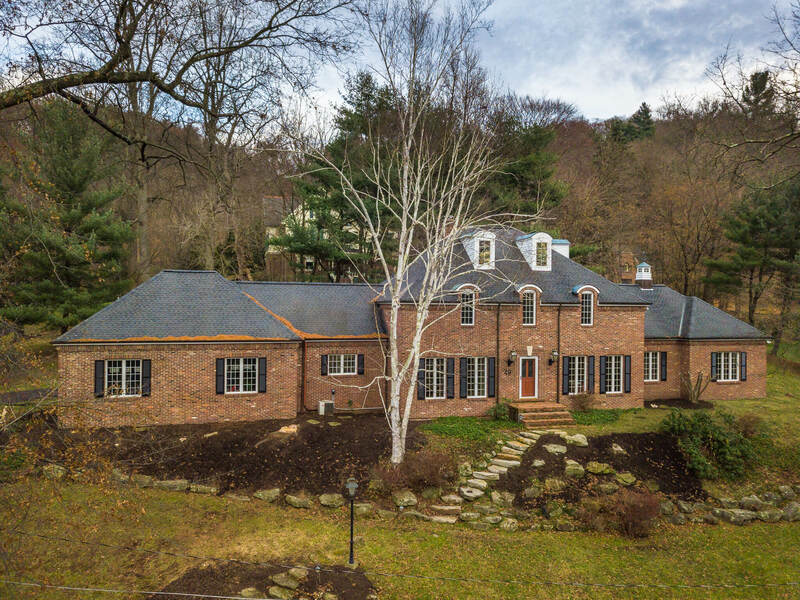 Located in Sewickley’s most sought-after neighborhood within an easy walking distance of all of the Village’s wonderful amenities, 49 Woodland Road offers an ideal Sewickley Village lifestyle and checks all the boxes of even the most discerning buyers! 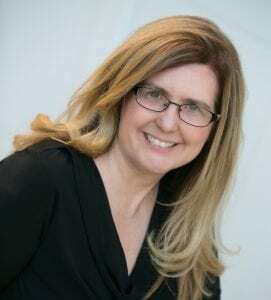 is both incredibly private and in the middle of the bustling life of Sewickley Village! From the moment you enter the inviting entrance hall, you will know that this home was built with impeccable attention to every detail and with today’s modern lifestyle in mind. 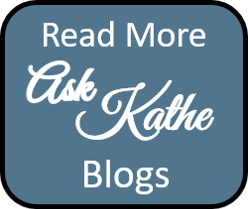 Hardwood floors unify the main level; a modern color palate delivers a sense of relaxed elegance that travels throughout the home. The sweeping ceilings and the handsome staircase of the entrance hall offer a warm welcome to family and friends. 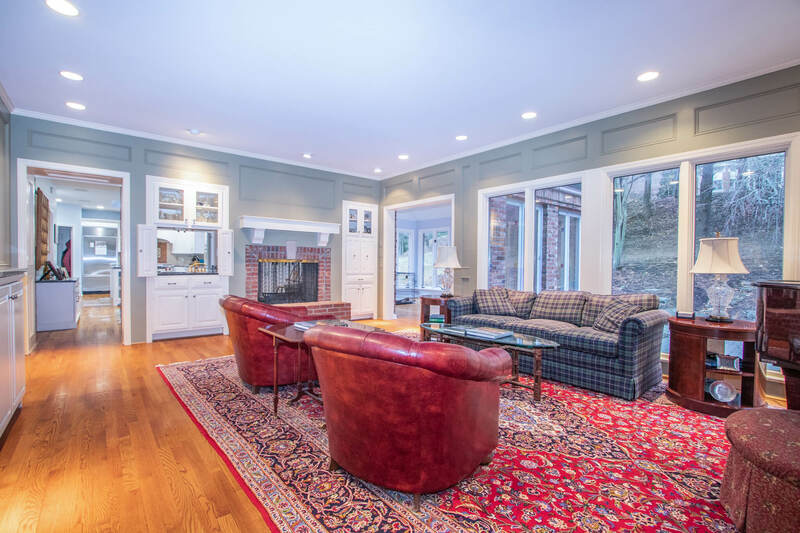 The entrance hall opens into the living room featuring hardwood floors and crown molding. 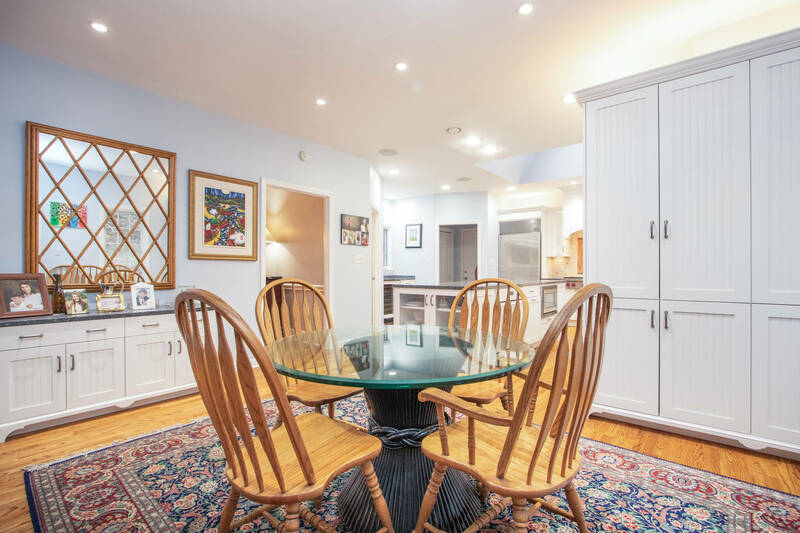 The generously proportioned dining room is large enough for all of your entertaining needs and conveniently connects to the kitchen. 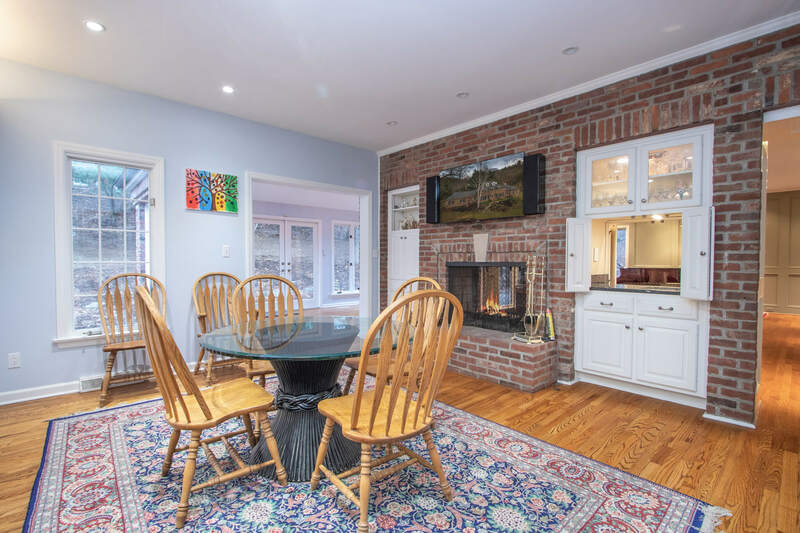 Well designed for family living, the heart of this grand home seamlessly merges the chef’s kitchen, breakfast room and great room to create a warm and enchanting place that your family will enjoy gathering in. 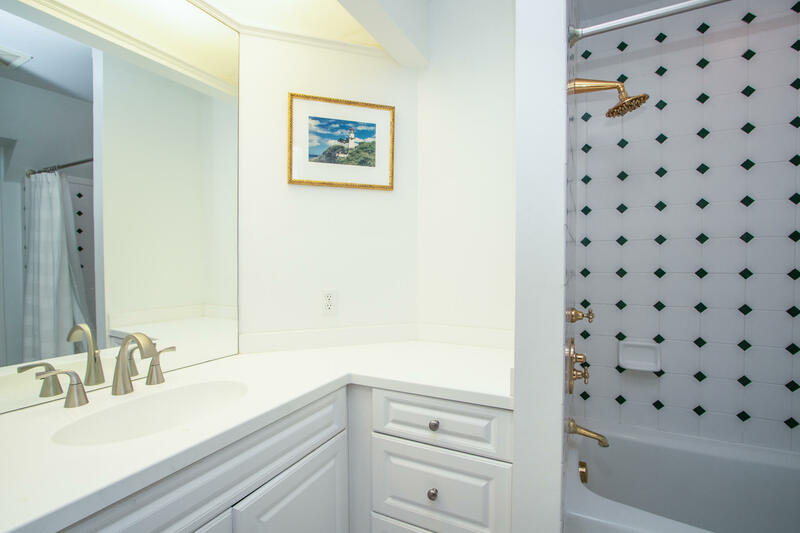 Beautifully remodeled, the custom kitchen will be the hub of your family’s daily activities. 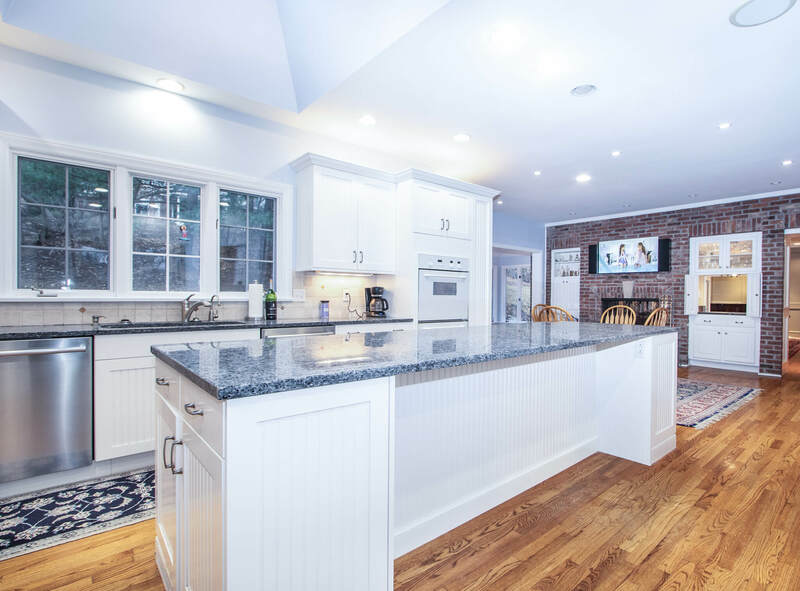 Abundant white cabinetry topped with granite and accented by a handsome backsplash flank the perimeter while a large island with bar seating for three, also with granite top, anchors the room. 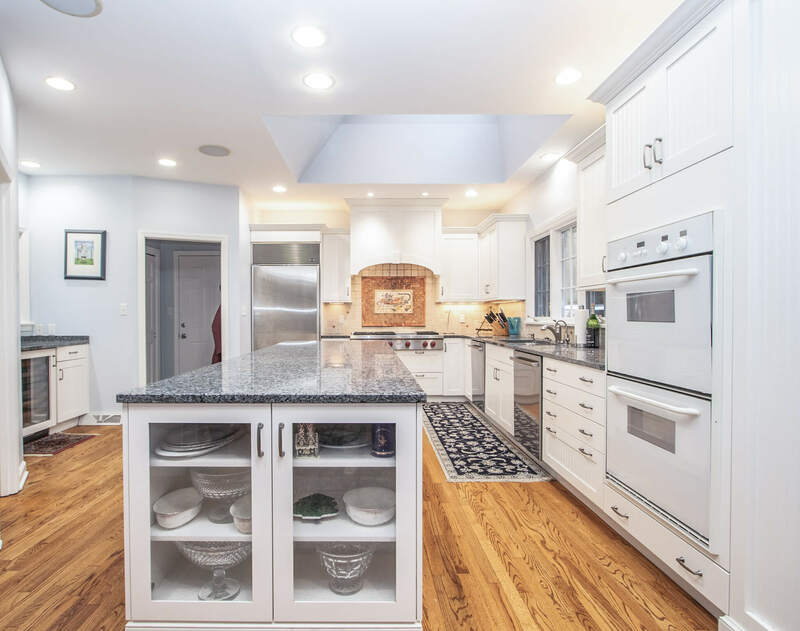 Meal preparation is a breeze with the Sub Zero refrigerator, beverage refrigerator, Wolf six burner gas cooktop, triple Thermador ovens, Thermador microwave, and double dishwashers. A log-burning fireplace warms the convenient eat-in area on chilly evening and creates an inviting venue for family dining. Opening from the kitchen is the bright family room. 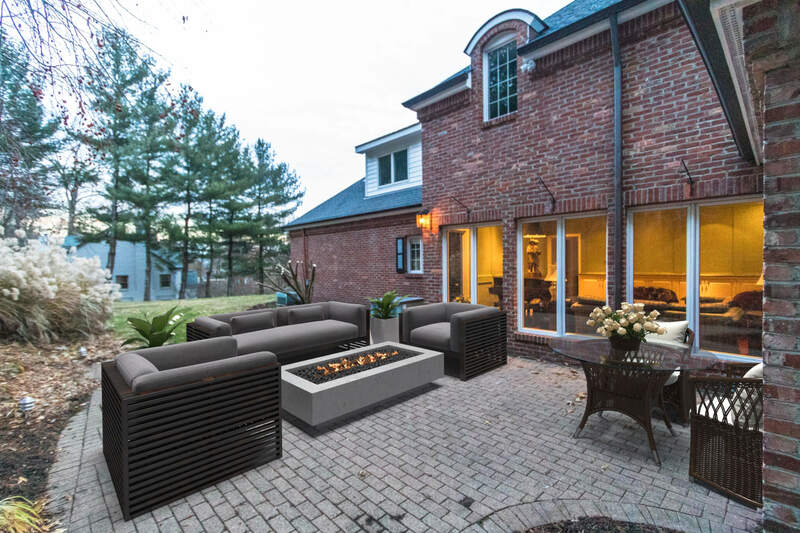 The wood-burning fireplace enlivens this welcoming space and will keep you warm on chilly winter nights! 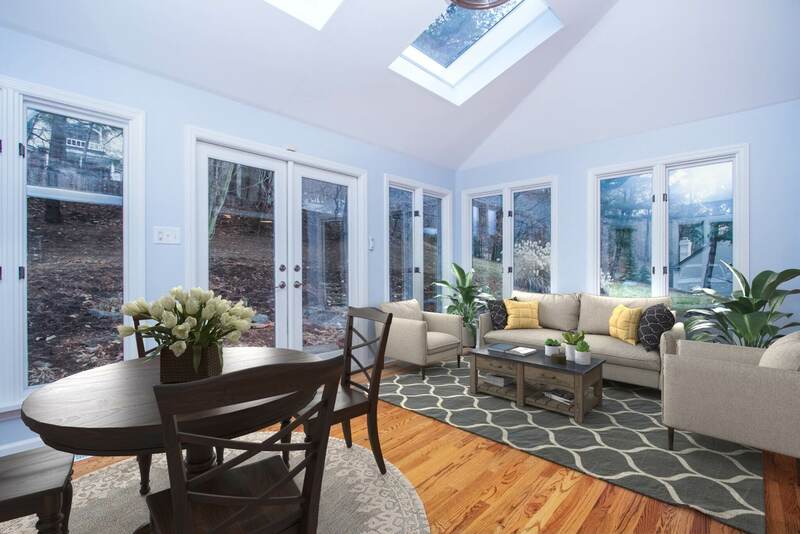 Opening from both the family room and kitchen is the bright sunroom/morning room. This sunny room is warm and welcoming all year round when the floor-to-ceiling windows flood the room with light. The lush landscaping is made an intimate part of this bright room by the large windows that overlook the park-like backyard. 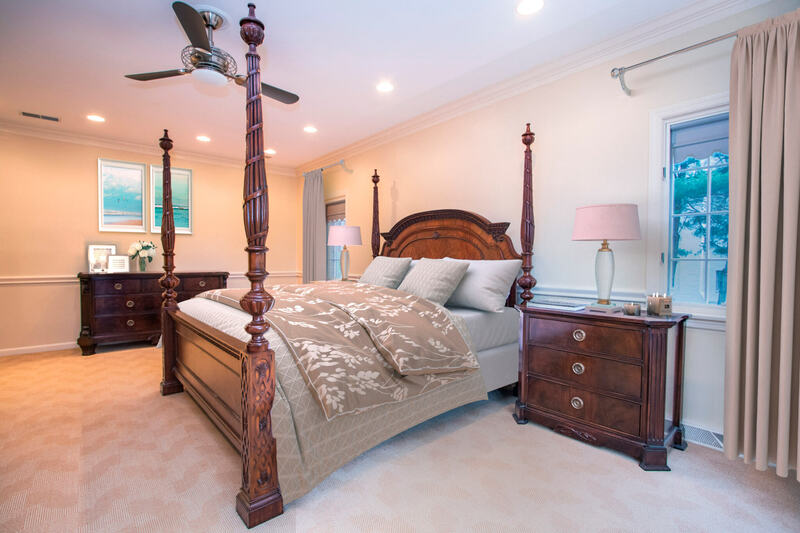 The main-level master suite is a hard-to-find amenity in Village homes. The owners’ suite provides a calm oasis of neutral tones. 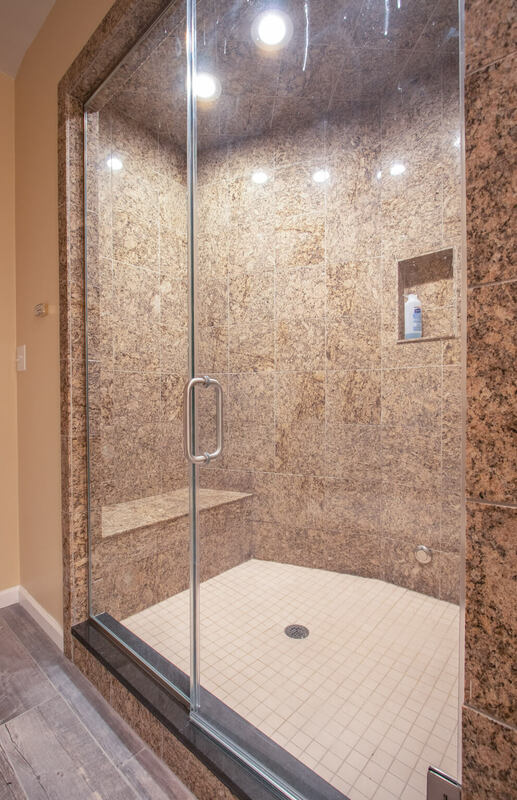 The newly remodeled master bath includes granite tile shower with seamless glass enclosure and porcelain tile floor. 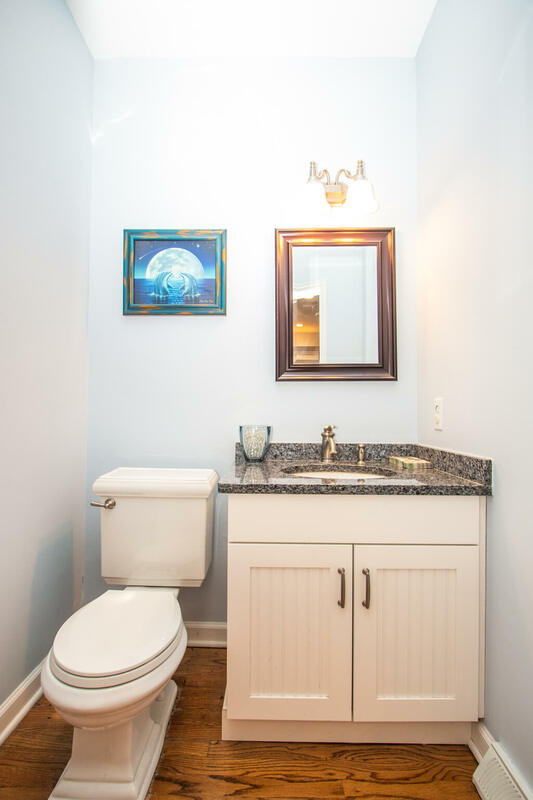 Two elegantly appointed powder rooms complete the main level. 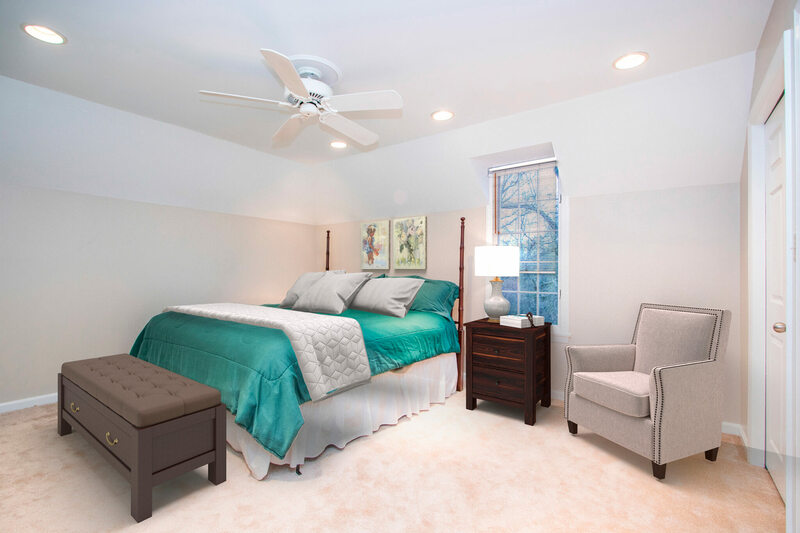 The second level is home to up to four additional bedrooms, each with neutral carpeting. 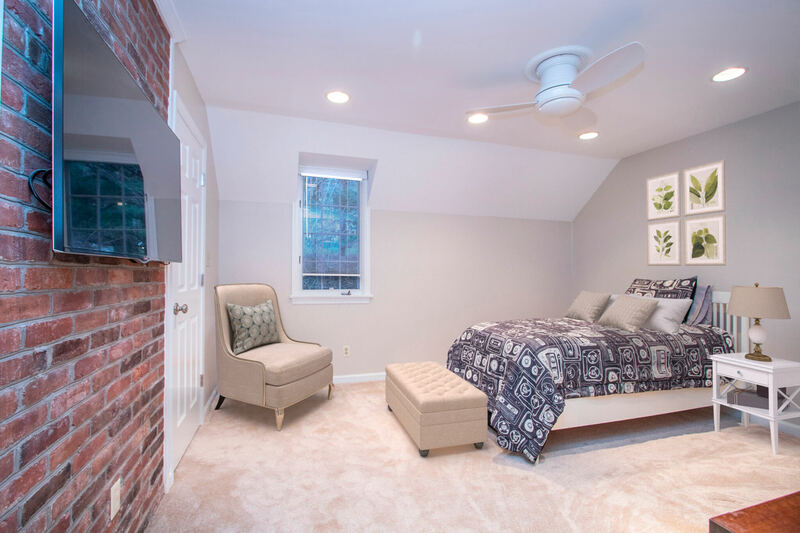 One of these bedrooms features an en-suite bath as well as a large walk-in closet/homework room. 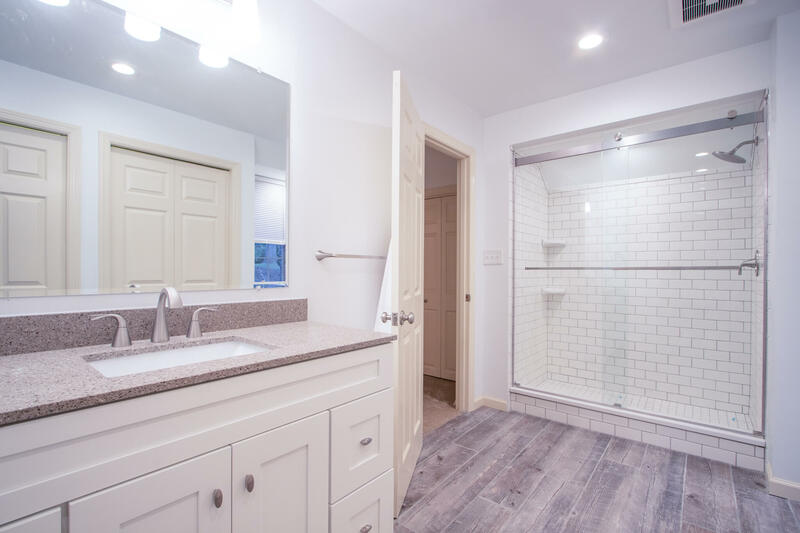 The other bedrooms share a newly remodeled hall bath with porcelain tile floors and tub/shower with custom subway tile surround and seamless glass enclosure. The third level offers yet another entire level of living space. 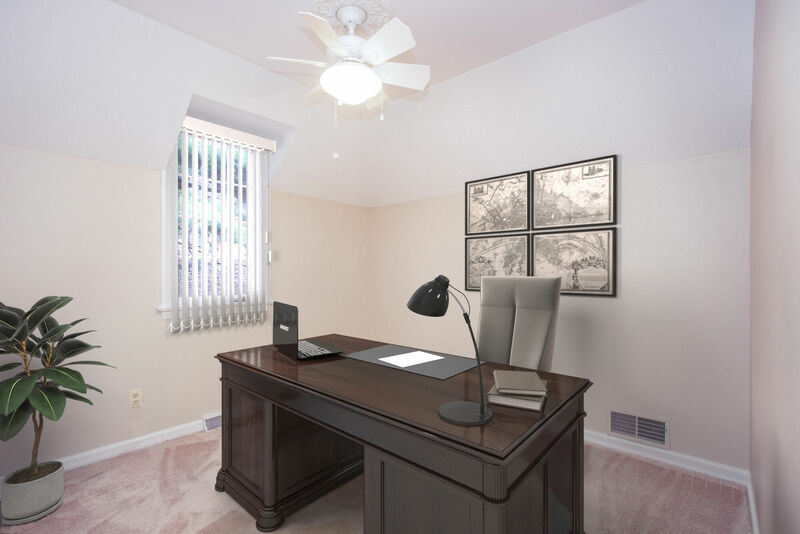 This large room features hardwood floors and makes the ideal home office or playroom, but could also function as a sixth bedroom. 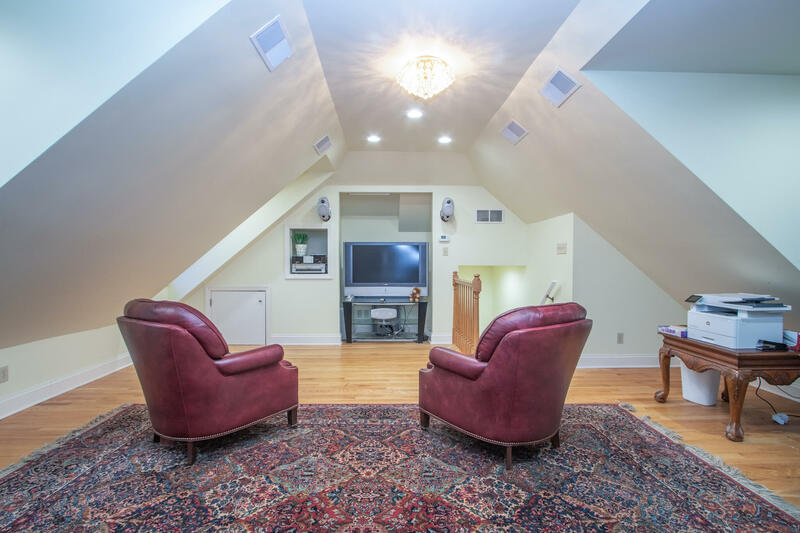 On the lower level there is a gameroom– ideal for the kids to hang out in, as well as a large home gym (or storage room) plus additional storage. 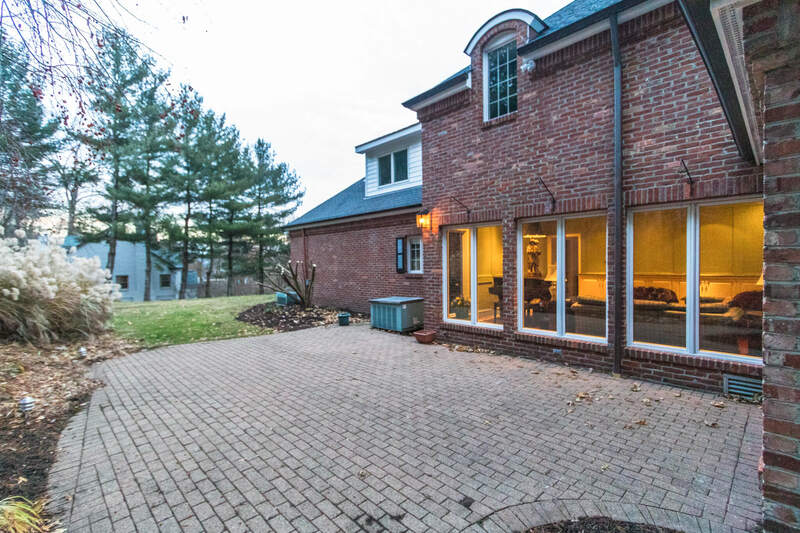 The three-car garage is conveniently attached to the home – a rarity in Sewickley Village! 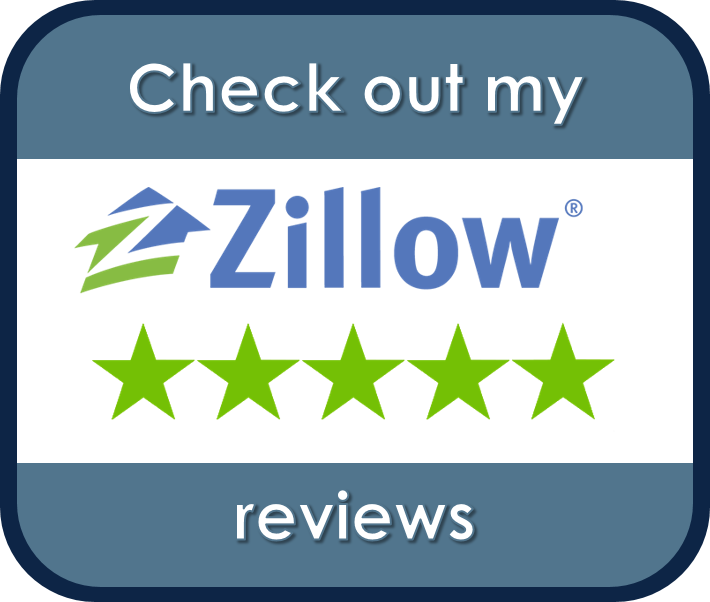 The yard has been nicely landscaped with a variety of lovely plantings and a very private patio. 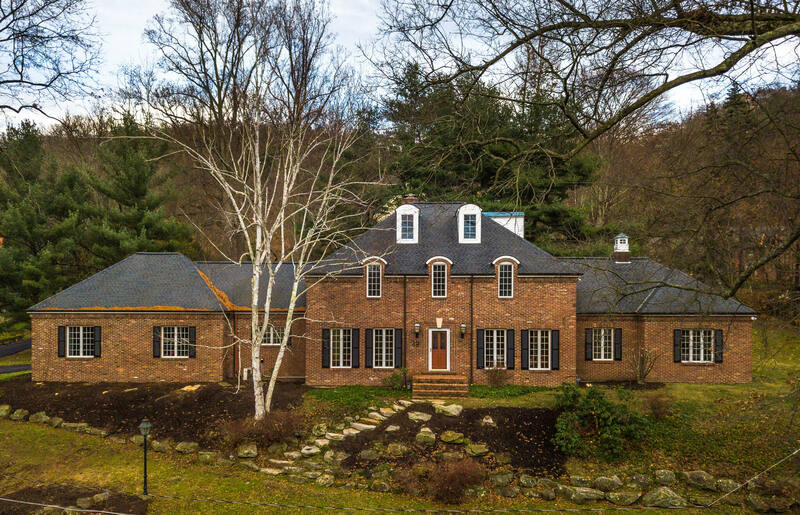 This impressive home is ideally located in a highly desirable Sewickley neighborhood, walking distance to top-rated local public schools, pre-schools, the Montessori Children’s Community, and near to Sewickley Academy, and a short drive to both downtown Pittsburgh and the airport. And the Edgeworth Club is less than one minute away – another bonus of this amazing location! 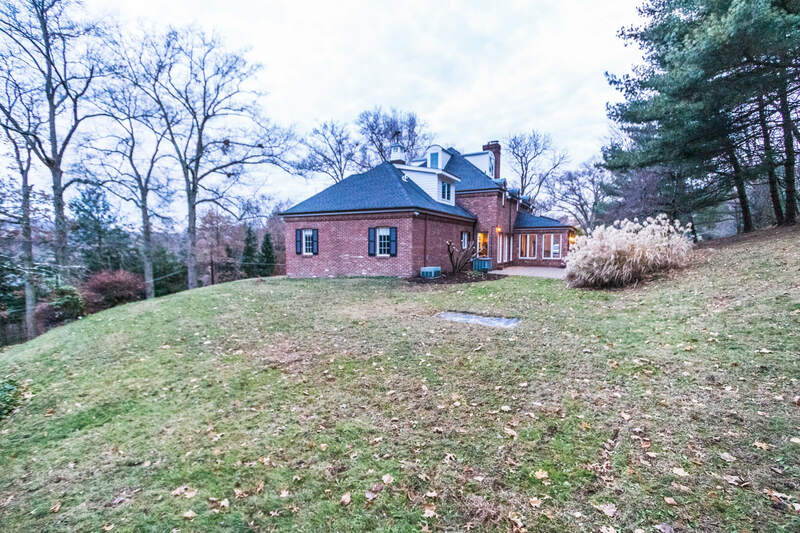 This home is offered for sale through listing agent Kathe Barge with Howard Hanna Real Estate Services for $1,775,000. 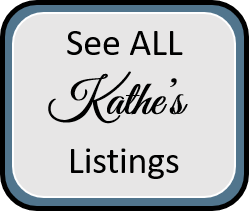 For more information or a private showing, call/text Kathe at 412-779-6060.